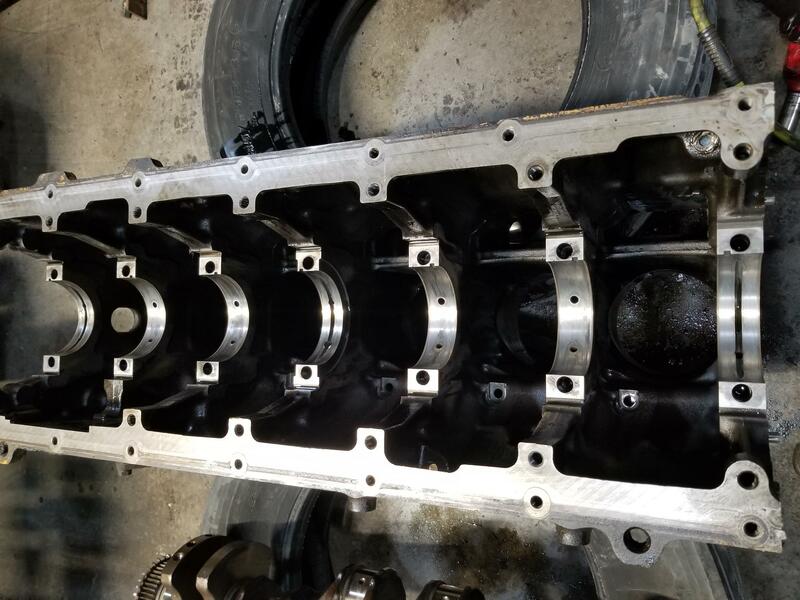 So I figured since I was this far I would pull crank out of block. The thrust bearing was junk. 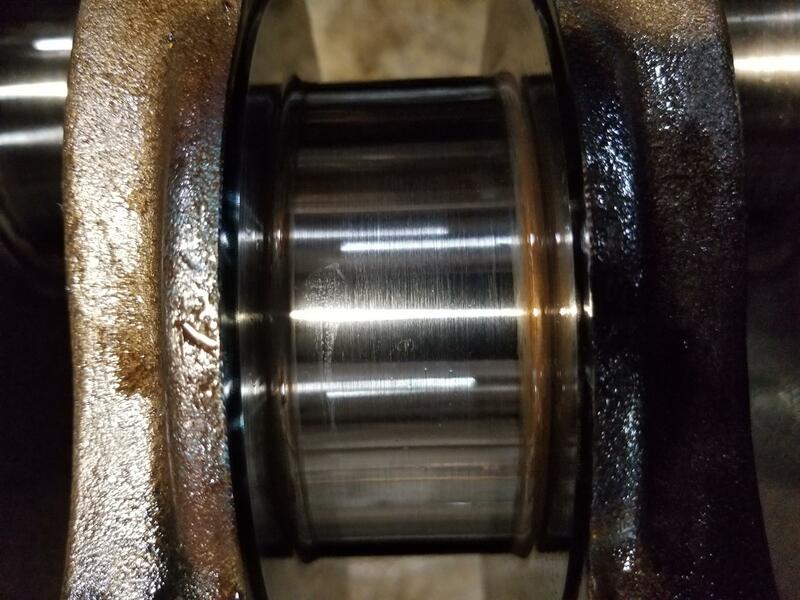 The bearing is also showing wear on one side. And every main journal were there is no slot connecting the 2 holes were plugged with gunk on the cam side. something is definately wrong. That amount of wear is not normal at all. Also make sure the crank is not being pressed inward by the transmission or clutch assy. It can cause those problems too. If the truck has an idle shut-down feature, some drivers are known to put a stick on the clutch pedal to defeat it. That can cause issues like your are showing too. A clutch improperly adjusted where there is never any play in the pedal will do it too. I am taking to a machine shop that cat takes there stuff to in the morning. Guy at machine shop said same thing, said sounds like it has foward pressure. There going to check line bore etc etc, going to take the head in to see if it's rebuildable. 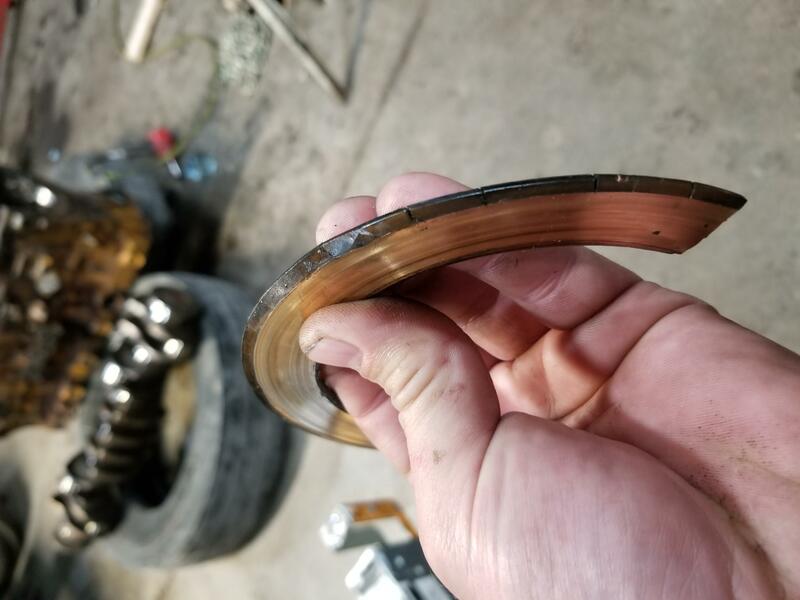 It needs new cam bearings anyways. And a cam and cam followers lol it doesn't end. 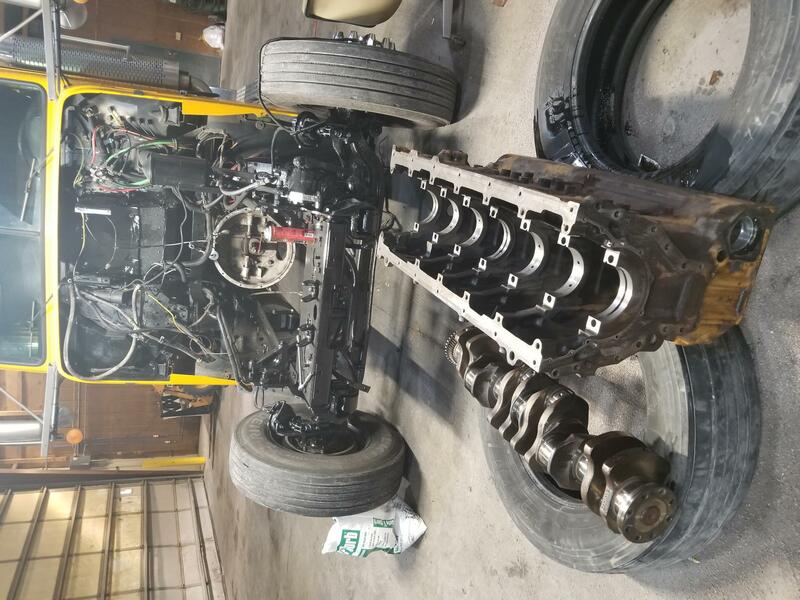 Everything in and on the motor will be replaced. I get the planning for a overhaul. But in my head I feel like I'm half assing it if I don't get new /rebuilt everything. I guess I can advertise it as pre eld truck and ask 100k for it. Lol jk I'm never going to sell it now. But the cat platitum kit is still almost the better deal, as it comes with injectors etc. Hopefully the block is good. couple hundred in steel a good welder bammy engine stand. going to take the head in to see if it's rebuildable. don't make that mistake. you will regret it in 250k miles when you have to replace it again. It will not last. I know you have said that before. The platitum kit only comes with a reman and there telling me I can't upgrade the head to new. Actually all of there kits are almost reman everything. I found a place that sells there version of a platitum kit, but comes with everything new including a turbo for 12k the pistons are mahle, alot of name brands. The head is HDK Which I never heard of. If I go with a gold kit and then get a new head and injectors, cam, followers, turbo etc I'll have close to 20 in it getting from cat. There is to many options. I don't want to cheapen the build to were I have to touch it a cpl years down the road but I don't want to over kill it. I Wish I knew someone that knew cats and have them recommended on what to do. I ask cat and they sware by there kits. 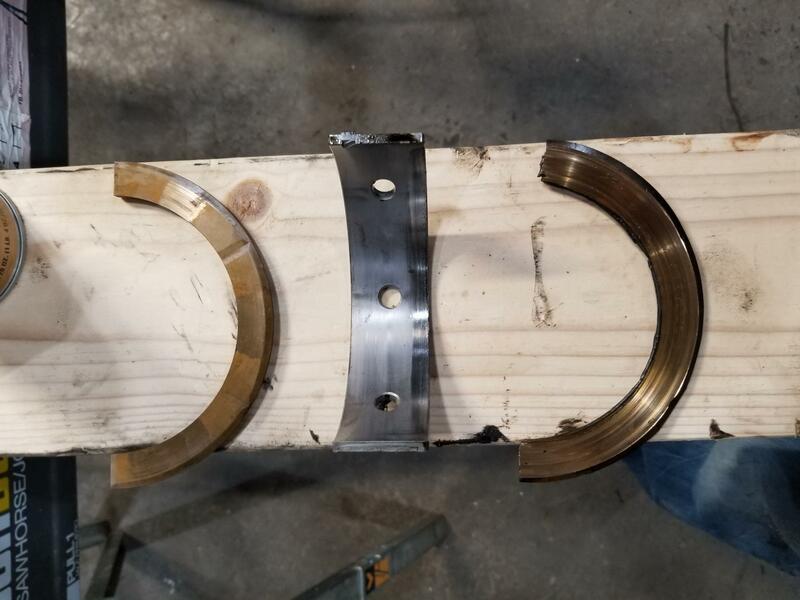 They have strict tolerances they said. But everyone says that. 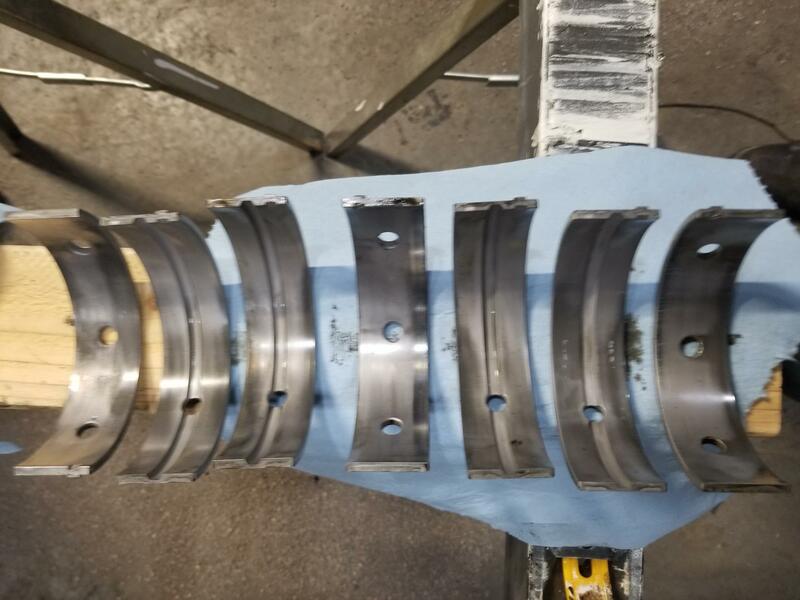 They said crank needed welded were thrust bearing rides. They weld then grind it down. I told them I would just get a different crank. Or is welded OK? They said they do a cpl a year like that. honestly cats QC is shi#t these days. I wouldnt use a platinum kit if they gave it to me. I dont trust piston packs either so its a waste. -dont be silly and run some stupid c16 file or trim codes or fuel numbers in it. -fix the air intake piping so you dont dust it again. -drive truck that gets only 6mpg but sounds and looks cool and runs well. -laugh at others who half assed theirs and they are broken on the side of the road. Perfect! Thanks alot. I'll let u know how it turns out. Leaving everything alone as factory. I just want it to run good and last. That's all. I checked over the dusting issue. I can't find a hole or tare in anything. We bought the truck a little over a year ago so who knows. But will Def make sure it's air tight.